Conscientiously, loving what you eat. 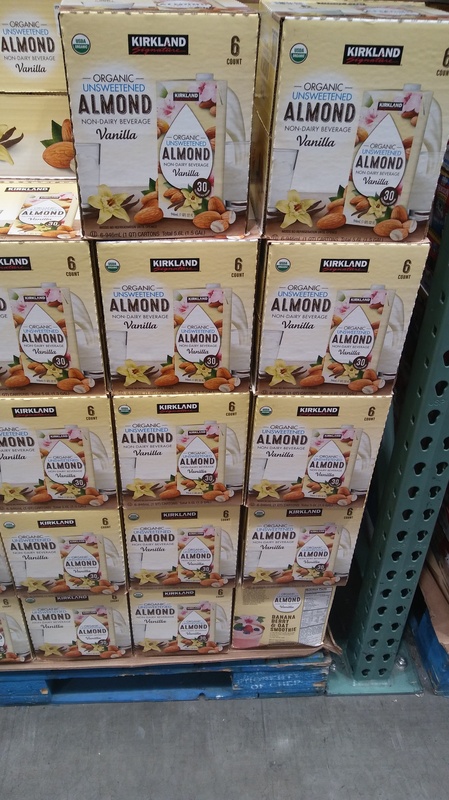 When I first heard of the big box stores that sold bulk items, I immediately thought that those stores existed only for business owners or rich people. Then I moved to California when I got married. I became my husband’s plus one (+1) to his Costco account. Since you only get one extra Costco membership card without any additional fees, I felt honored to have access to this store. I couldn’t wait to see what products were sold and what was the big deal (literally and figuratively). Once inside I immediately noticed how there is something for everyone in this huge store. If you are newbie shopper or a frequent shopper at Costco, it can get overwhelming. I want to spotlight some items that you may not have noticed. 1. 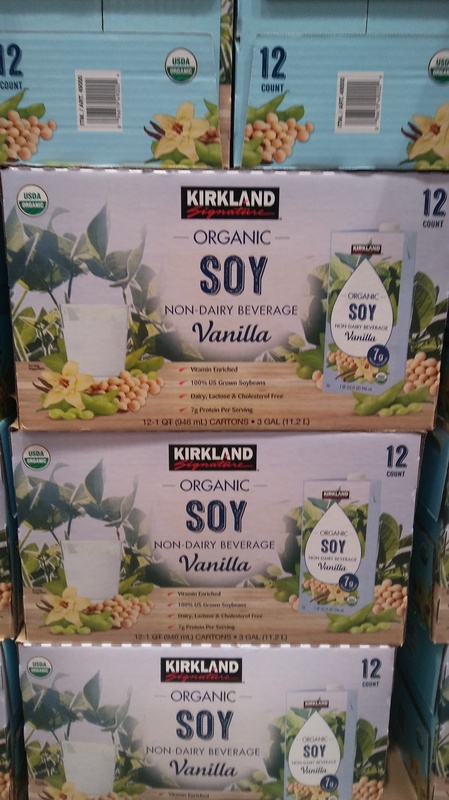 Organic non-dairy milk. 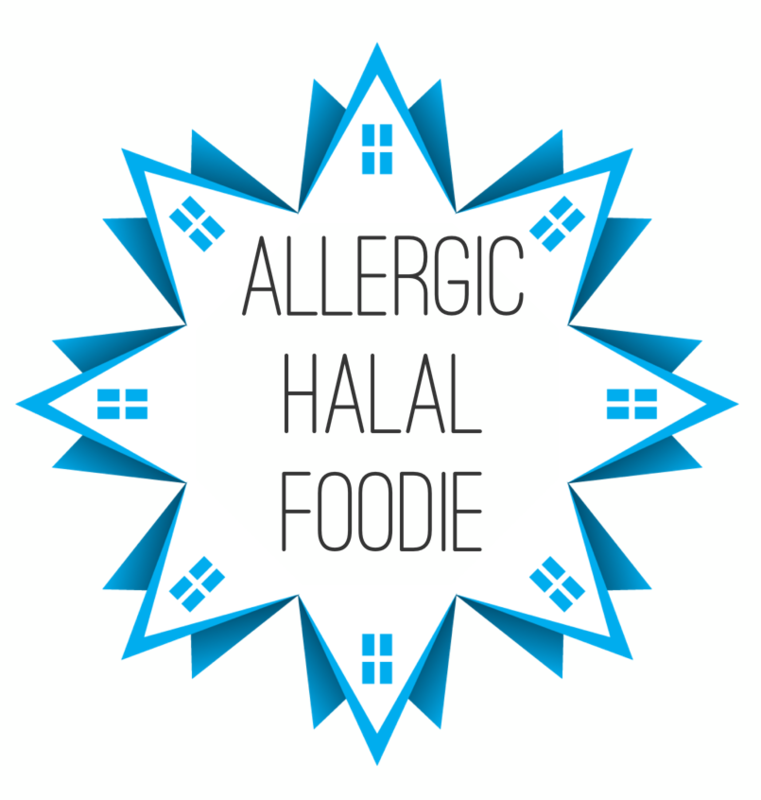 As you know, an Allergic Halal Foodie is dairy free. Most likely you will drink non-dairy milk when eating your cookies. 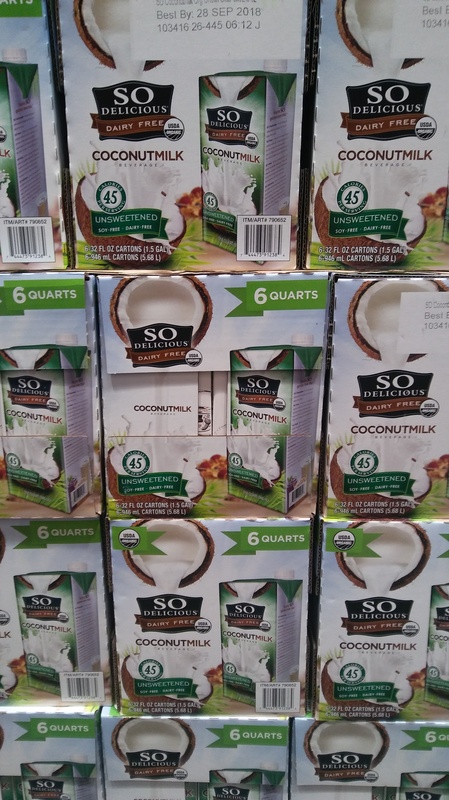 There is a lot of allergy safe cookie eating in an Allergic Halal Foodie’s life, so why not save time and money by buying your dairy-free beverage at Costco. It has a long shelf life, too. 2. 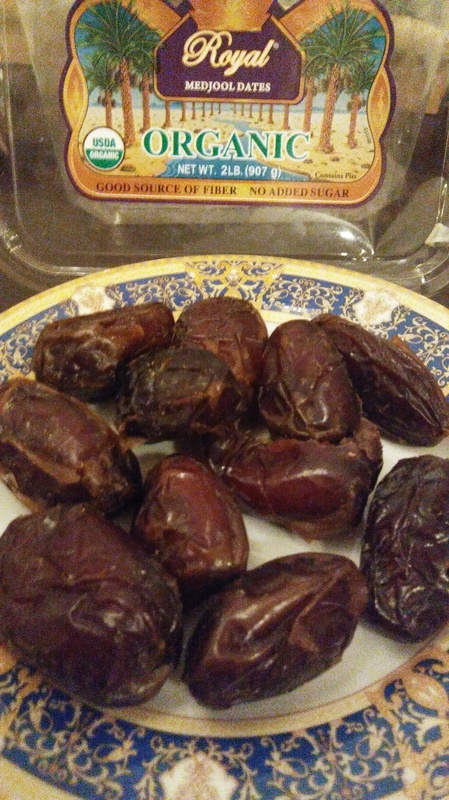 Organic dates. 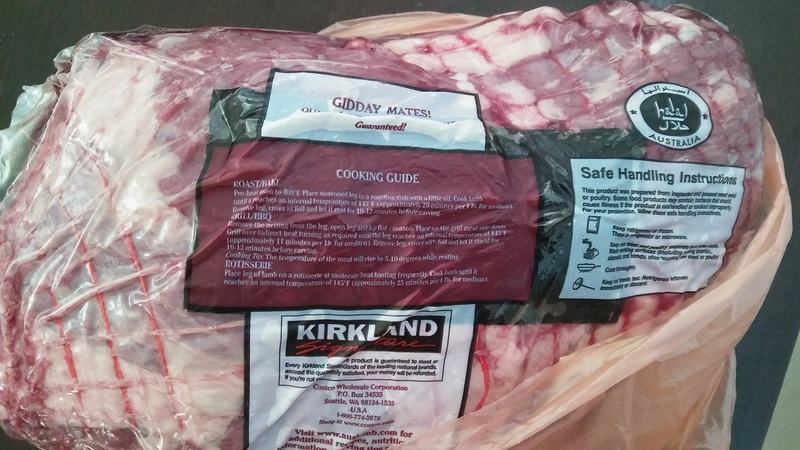 With Ramadan this month, this item is a handy addition to your Costco shopping list. They’re organic and delicious. It is sunnah for the fasting Muslim to break their fast with dates and water. Not interested in sunnah practices of breaking your fast with dates, you have plenty of ways to eat dates like this homemade Twix bar that uses the dates for the caramel. Yum! 3. 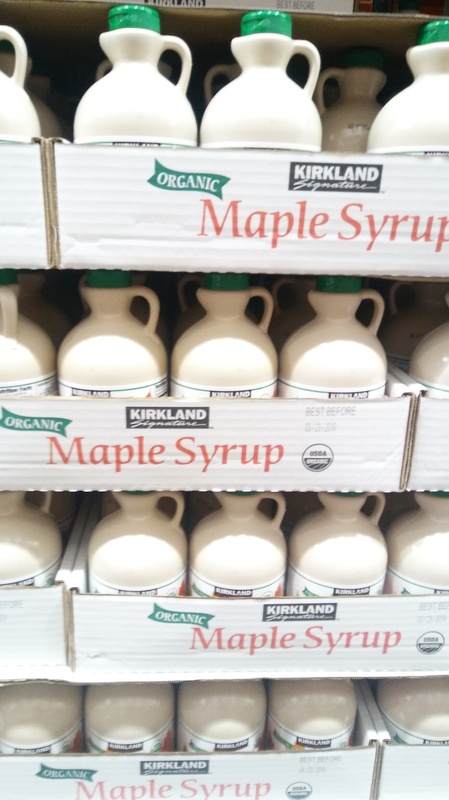 Organic maple syrup. The uses of maple syrup is vast. In addition to using it to drizzle onto homemade dairy free Belgian waffles, I like to use it for quick allergy friendly barbeque (equal parts of ketchup and maple syrup) and teriyaki (equal parts of soy sauce and maple syrup) sauces. Yes, it is really that simple to make those 2 sauces. 5. Organic pasta. Most “gourmet” pastas have egg. Costco has an organic pack of pasta that is egg-free. 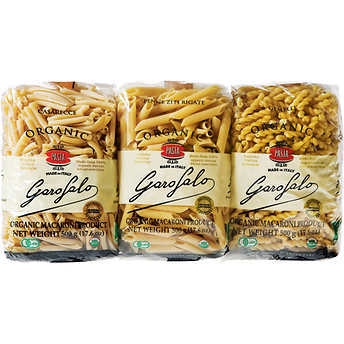 True foodies know that there are endless options with pasta meals.